Missing styles. Is the correct theme chosen for this layout? Use the Theme combo box above the layout to choose a different layout, or fix the theme style references. Failed to find style mapViewStyle in current theme. I tried every solutions available to solve this problem but nothing seems to work. I have included library in the manifest file. I even created style is styles.xml, I have chosen Google Apis build target as well. Can somebody please give me a solution. Thank you in advance for your valuable time. android:apiKey="here i have my key"
I had the same problem and found it was the Theme dropdown at the top of the graphical layout editor. I changed from Holo to Theme and the layout displayed and error disappeared. 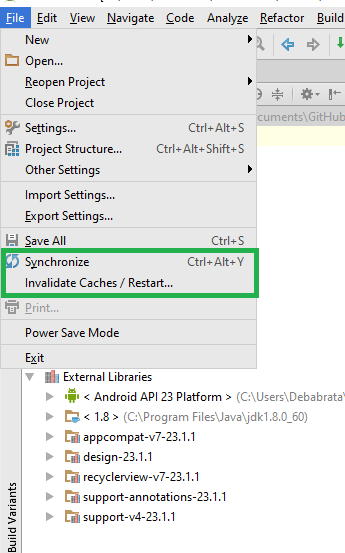 If everything looks OK in your project and you're still receiving the error in your layouts, try to 'Invalidate caches & restart'. Enjoy a coffee while Android Studio is recreating caches & indexes. When you create the style incorrectly or from an existing style, this problem usually occurs. So select the "Graphical Layout" select "AppTheme"-->The tab with a blue star. And select any of the predefined style. In my case "Light" which should resolve the problem. Hope this helps. It works similar fashion as rule of thumb, in case all looks good and still error persists a restart of application usually resolves the issue. 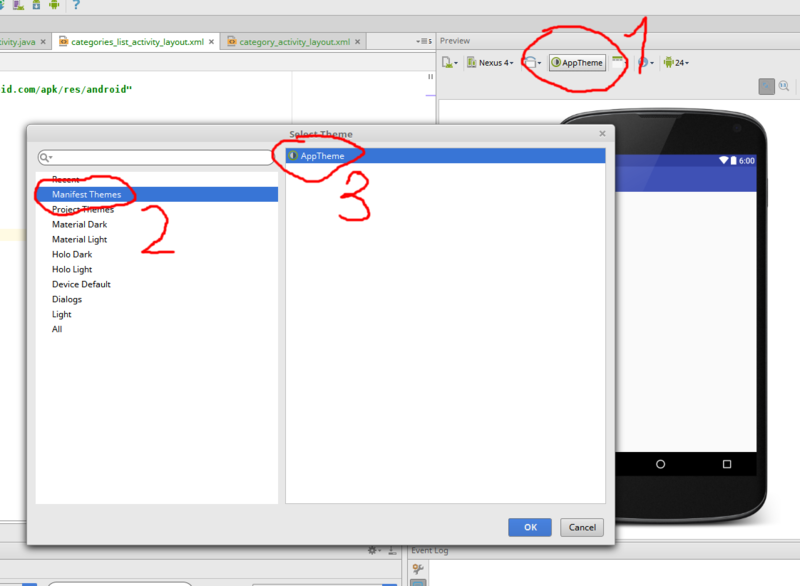 In my case the problem occurred while the default setting for Android Version in the Designer was set to 'Preview N'. Changed Android Version to '23' and the error notification went away. And don't forget to uncheck 'Automatically Pick Best'. I had the same problem using Android Studio 1.5.1. This was solved by using the Android SDK Manager and updating Android Support Library, as well as Local Maven repository for Support Libraries. 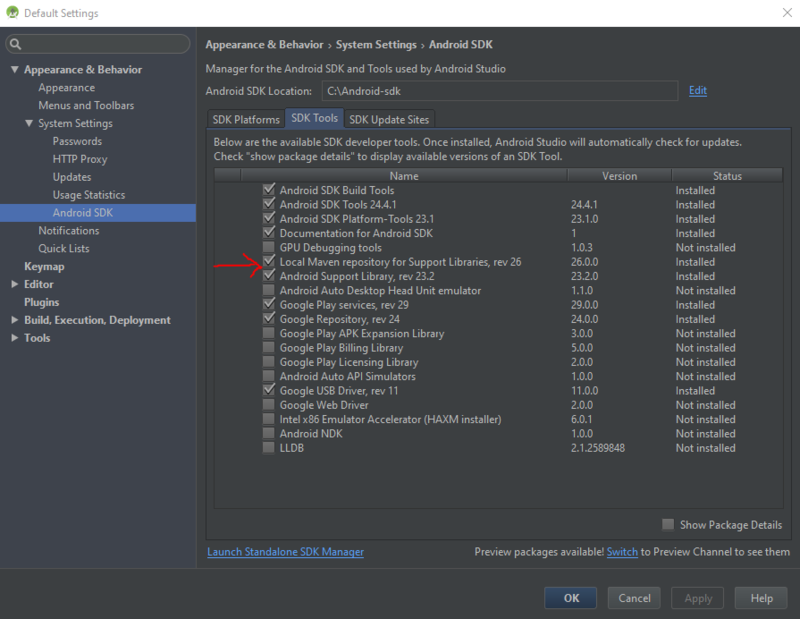 After updating the SDK and restarting Android Studio, the problem was rectified. Hope this helps anyone who has the same problem after trying other suggestions. I solved it by changing "classpath" in "dependencies" in build.gradles. I got this error after overriding action bar style like this. Also i lost action bar in preview. So, problem is overriding theme by my custom. this is the reason, why I've changed AppCompat (from "Project Themes") to general_app_theme (from "Manifest Themes"). Now I have no this error and action bar in preview come back. Try switching the theme in the design view to one of the options in "Manifest Themes". I'm guessing this is Because you are inheriting the theme from the manifest to support multiple api levels. It worked for me anyway. With reference to the answer provided by @Benno: Instead of changing to a specific theme, you can simply choose 'DeviceDefault' from the theme menu. This should choose the theme most compatible with the emulated device. If you still have the problem after trying all the solutions above， please try modify the API Level as shown below. Incorrect API Level may also cause the problem. and clean the project. It will surely help. Most of the errors in XML happen due to the names you have given to the resources. Do the filenames contains any uppercase letters? If so right click on that file->refactor->rename and rename it with all lowercase, no hyphens, and only a-z and 0-9 are allowed. Just make sure of the above cases. Even though they introduced errors in my style's theme, they caused no problems in rendering the activity designs or building my app. You can simply remove this error through change "App theme" and select any theme such as light. This error will be removed. Finally,I found out that there are AppTheme and AppBaseTheme in my styles.xml. And AppTheme has parent AppBaseTheme. The AppBaseTheme has parent of one system style. And every layout file use the theme AppTheme. Just change AppTheme's parent to AppBaseTheme's parent. It solve the problem permanent. Just need click button 'AppTheme', and choose 'Manifest Themes'. It works in most cases. Added new Folder in res directory named values-v21. 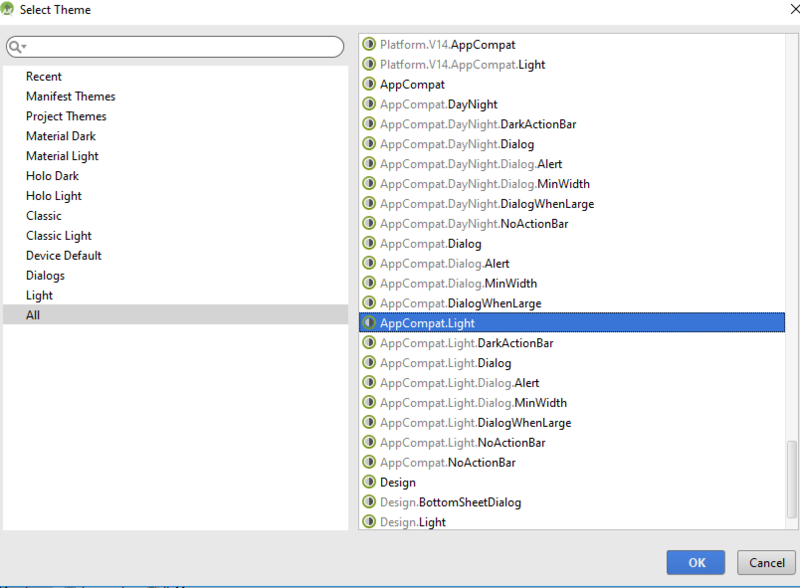 Added android:Theme.Material.Light as AppTheme in styles.xml. This is very late but i like to share my experience this same issue. i face the same issue in Android studio i tried to some other solution that i found in internet but nothing works for me unless i REBUILD THE PROJECT and it solve my issue. Hope this will works for you too. Change your App theme to AppCombat..
What is a theme and how do I know if I have the “correct” one?